This sample 10 day (9 nights) itinerary includes 3 night stays in each of Ljubljana, Salzburg & Vienna. You'll have the opportunity to take day trips to see the countryside, or soak up some culture in each of these magnificent towns. The services we provide as part of our comprehensive packages include accommodations, private transfers between the cities and city tours. In addition to the tours included we can arrange a number of excursions based on your own interests. Our Destination Manager in the region provides assistance before and during your travels. They will be available to you leading up to the trip to answer any questions and arrange local services. You will be provided with information on the best these destinations have to offer including things to see and do, restaurants, entertainment and other insider tips. Upon arrival we will provide you with a local cell phone that you can use to contact our Destination Manager throughout your trip. In all of our destinations we offer a variety of accommodation options including boutique style hotels, charming B&Bs and spacious apartments ranging from a three to five star level. From our first hand experience we can ensure they are all clean, comfortable and centrally located. We generally discourage chain hotels but provide accommodations with unique features or an authentic feel. Our representative will then meet with you to answer any questions you have and to get you settled for the rest of your trip. Today you’ll be exploring the local gastronomy with an experienced foodie guide who knows all the best restaurants and food stalls in the city. Your group will meet at the Preseren monument on Preseren Square at noon. From there you’ll sample delicious seasonal produce, tasting a variety of traditional dishes at stops throughout the center. This is the best Slovenian food in the world. Along the way you’ll have a few glasses of wine and spirits. It’s the best way to taste this diverse, delicious gastronomic culture. Slovenia is relatively small, so it’s easy enough to explore. From Ljubljana, our top recommendation is a day trip to Lake Bled and the stunning surrounding area. Here you can spend the afternoon enjoying the gorgeous glacial lake and medieval castle situated on an island. You’ll be picked up from your accommodation and driven to Lake Bled, where you’ll have a local guide to show you all the sights. You can stroll along the alluring jade water, hike through the surrounding forests, or even pilot a boat to float romantically over the lake. Before visiting your next stop, Vintgar Gorge, a 1.6 kilometer long gorge with steep depths and vertical walls, you’ll have the chance to visit the center of Bled, where you can have lunch and a short walk to take some pictures. After the gorge you’ll visit another even more picturesque and peaceful lake, Bohinj in the heart of the Triglav National Park before heading back to Ljubljana. Today you are off to wonderful Salzburg. Your driver will pick you up from your accommodation at your chosen departure time. On the way you will stop to enjoy the spectacular Alpine scenery of Hallstatt with its delightful houses built into the mountain, the glass-like lake, and the amazing mountains in the background. The vehicle used for your transfer will be a standard sedan, station wagon or minivan. We can arrange for an upgrade to a more luxurious class of vehicle for an extra fee. When you arrive in Salzburg, you'll be brought directly to your accommodation. Discover the beauty of Mozart's hometown as an experienced guide leads you on a walk through the UNESCO-listed city of Salzburg. 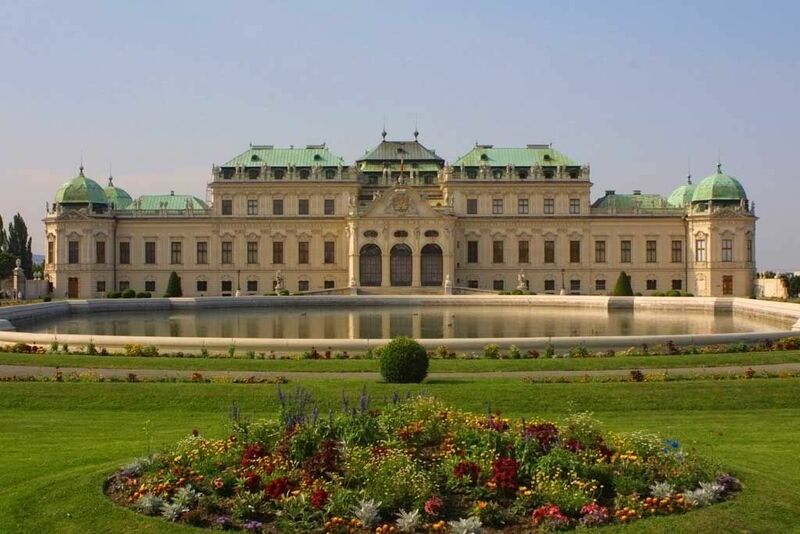 Your walk includes all the sightseeing highlights, such Mozart's Birth House, Mozart's Residence, Getreidegasse, the Cathedral, Residenz Palace, and Mirabell Palace with its splendid gardens. If you come across anywhere you'd like to spend more time and and go inside, your expert local guide will tailor the tour to your interests. This is the best way to discover the city. Salzburg isn’t just the birthplace of Mozart, it’s also famous for its Steigl brewery. Today we’d recommend visiting the Steiglbrauerei to get a taste of the local brew along with some delicious traditional cuisine. You can tour the brewery and also stop at the beer hall for a lunch or dinner with plenty of authentic atmosphere. 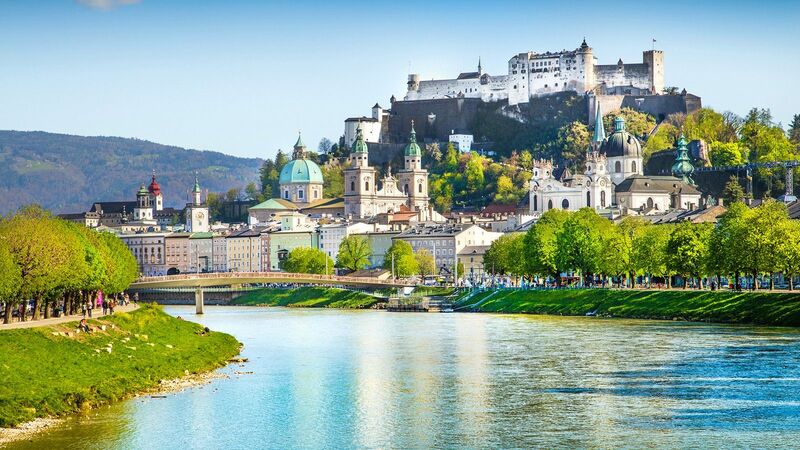 Salzburg is famous for being the birthplace of Mozart, and a visit to the city is the best way to learn more about this world-renowned composer. There are numerous Mozart-related sights around the city, starting with the Hagenauer House, where Mozart was born. It’s now a unique museum dedicated to the composer and is certainly worth a visit. Then you can cross the river to the house where he lived from 1773 to 1780, which is also now a worthwhile attraction. After visiting the museum you’ll cross the river to visit Mozart’s next house, which features exhibitions about his later life and success as a composer. Finally, you could visit Furst Cafe, home of the world-famous Mozart chocolate, the Mozartkugel. 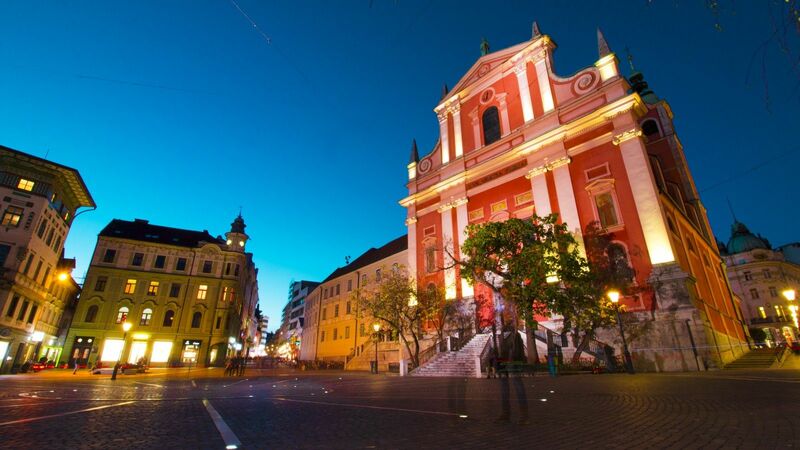 Today, we'll arrange for a private driver to take you to the Austrian capital of Vienna. You might want to consider a couple stops along the way, perhaps in the youthful city of Linz or the Wachau Valley, a renowned Austrian wine region. The vehicle used for your transfer will be a standard sedan, station wagon or minivan. We can arrange for an upgrade to a more luxurious class of vehicle for an extra fee. The vehicle used for your transfer will be a standard sedan, station wagon or minivan. We can arrange for an upgrade to a more luxurious class of vehicle for an extra fee. With its perfectly preserved UNESCO-listed Old Town, Salzburg is renowned internationally for its baroque architecture. Add the backdrop of the Alps and you’ve got a city that makes for an unforgettable holiday. The imposing Salzburg Cathedral and the Hohensalzburg Fortress dominate the skyline, and in the center you’ll find plenty of grand cafes and fine restaurants. Salzburg’s two biggest claims to fame are that it was the birthplace of Mozart and the stage for the timeless musical The Sound of Music. But there’s more than just history here. Today the city is a vibrant destination for travelers looking for a mix of classic culture and modern flair. Strolling through Salzburg is one of the great pleasures of Europe. The local cuisine is hearty and there are more than enough restaurants, bars and cafes to keep you busy. Beer lovers shouldn’t miss sampling a stein or two of delicious local brew at the Augustiner brewery. But there is so much to see in the surrounding region that no visit to the city is complete without a day trip or two. You could tour through the pristine countryside to visit the stunning Hellbrunn Palace. History buffs will want to venture farther afield to visit Hitler’s Eagle’s Nest perched high in the Alps in Berchtesgaden. Your driver will bring you directly to your accommodation upon arriving in Vienna. Austrian wines, especially whites, can be a real treat. Wine and food lovers who also like a little historic adventure with your meal should plan a visit to one of Vienna's heurigers. A heuriger is basically a wine tavern which only serves Viennese wines, typically from the attached or nearby vineyards. Officially a heuriger is a tavern owned by a wine-grower where they can only serve their own wines. They offer classic Austrian dishes and some even have musical entertainment. Not only is the wine really local, it’s also really fresh – by law only wines from the current vintage are on offer, and the time for the sale to end is traditionally November 11, St. Martin’s Day. You can learn more about these lovely wine taverns in this blog post. Tour Vienna's Old Town and listen to captivating stories from one of our local guides on this special excursion. The tour includes a perfect blend of old and new, from historic buildings to modern architecture, and insider info on places to eat and drink. You'll see St. Stephan's Cathedral, Hofburg Imperial Palace, Ring Street and a traditional Viennese Coffee house. This private English-language walking tour not only offers a great introduction to the city, but also delves deep into the city's amazing history, from the darkest hours to the brightest moments. When the weather is good, there are plenty of beautiful parks in Vienna that are perfect for a stroll or a picnic. We particularly like two of them. Danube Park is in the heart of the greenest district in Vienna. The park’s fragrant Rosarium is home to about 35,000 roses. Stop by the Iris Lake cafe for a lakeside coffee with a beautiful view. Another great option, especially if you’re with children, is Prater Park. It’s the location of the Giant Ferris Wheel, one of the most beloved symbols of Vienna. Today is a great day to see taste some of the gastronomic delicacies Vienna has to offer and to get familiar with its lovely cafes. We recommend three destinations in particular. Figimuller is a classic Viennese restaurant where the schnitzel was invented in 1904. Sacher Cafe is home to the world famous Sacher cake. Cafe Demel is another place where Vienna's grand cafe culture still lives on. Naschmarkt is a vast outdoor market where you’ll find everything from fresh fruit to cured meat. All of these options are in the center and are walkable from your accommodation. If you'd prefer the conviviality and overall experience of a guided food tour, we can arrange that too. Based on your flight departure time, we'll have someone pick you up at your accommodation and take you to the airport. The vehicle used for your transfer will be a standard sedan, station wagon or minivan. We can arrange for an upgrade to a more luxurious class of vehicle for an extra fee. Vienna is a timeless city of high culture, grand cafes, breathtaking architecture and more, all set on the banks of the majestic Danube River. The moment you set foot in the city you’ll see why Vienna’s center is on the UNESCO World Heritage list. Often regarded as the world capital of music, Vienna is the place where Beethoven and Mozart made history. Even today a visit to the opera or a classical music performance at one of the city’s sublime concert halls is an unforgettable experience. The center of Vienna, St. Stephen’s Square, is dominated by the impressive gothic cathedral of the same name. Inside you’ll find a rich collection of artistic treasures, and the view from the tower is well worth the climb, offering amazing views over the city. But the cathedral is only one of the most visible attractions in Vienna. You won’t want to miss the magnificent Schonbrunn Palace and the imperial Hofburg. Explore the city on foot, in a car, or by bike: the choice is yours. If you’d like to go farther afield you can even take a river cruise to nearby Bratislava, the capital of Slovakia, or a bike trip to local wineries. But you don’t have to leave Vienna to have a wonderful time. Simply strolling through the pedestrian zones in the city center and stopping for a coffee and a slice of cake make for a truly enjoyable holiday. JayWay Travel staff are professional, detailed, easy to work with, give the client the feeling that they are the most important thing in the world at that moment, set the confidence level very high that the traveler doesn't have to worry about anything - everything will be taken care of. The level of detail that's in the itinerary is amazing, never any doubt about what will take place. JayWay Travel is outstanding!! Don't stop what you're doing! JayWay Travel uses their local knowledge and understanding about the needs of travelers to create wonderful trips. Traveling to Central Europe with their itinerary planning made our 2 weeks absolutely perfect. JayWay Travel put together an awesome vacation for our group that was customized to our specific wishes. However, the biggest debt of gratitude goes to Judit Holp, our Central European Destination Manager in Budapest, who worked directly with me to set up all our air travel and transfers, hotel accommodations, intercity limo and train travel, dinner reservations and tour bookings. Without her assistance, everything wouldn’t have gone as smoothly as it did, and we wouldn’t have been able to see as much as we did. "JayWay is a boutique travel company who specializes in individualized travel itineraries. Every member of their team is professional and friendly and is eager to make you next trip you dream vacation!" "JayWay Travel was fabulous. We travelled to Budapest, Bratislava, Vienna, Prague, Salzburg and Munich with JayWay. This was my first time using JayWay and I could not have asked for a better-planned trip. I cannot say enough good things about our travel with JayWay. I highly recommend them." "Great staff to work with. Everything went perfectly, drivers on time, hotels were just what we were looking for with great locations. Guides were fantastic. Everything went smoothly and it was nice to talk to someone rather than just email. Our driver in Budapest was wonderful. He took us to the train and showed us where the platform was and how to read the board. He went above and beyond when he saw my husband was nervous about it and actually showed us our car and seats. That is such special service." "Jayway people really listen to their clients' needs and respond effectively. Personal service backed up by deep knowledge of Central Europe. Kevin Axe effectively listened to me and created the perfect trip for us. Friendly face to face service especially Marek and Nataly were outstanding. Each hotel was high quality and perfectly located. Right in the heart of each old city. Wonderful choices! On time, excellent English, clean vehicles, friendly drivers." "Everything worked beautifully and everything was completely and efficiently handled from start to finish. All we had to do is show up and have fun." "JayWay Travel was exactly what we needed in planning our vacation. Other travel agencies offered tours that included most of the places that we wanted to see, but we were not able to fit into their fixed time schedules and routes. JayWay offered us the flexibility that we needed. We had the secure feeling of being on an organized tour, and JayWay's scheduling allowed us plenty of free time to explore the cities as we liked." "Jay and the team responded promptly to my requests, with complete information. Their in-depth local knowledge, unique hotel choices, recommendations on things to do, tours, scheduling all added up to a great vacation."